Masham sheep have been bred for over a century on the hill farms in the Northern Counties of England. 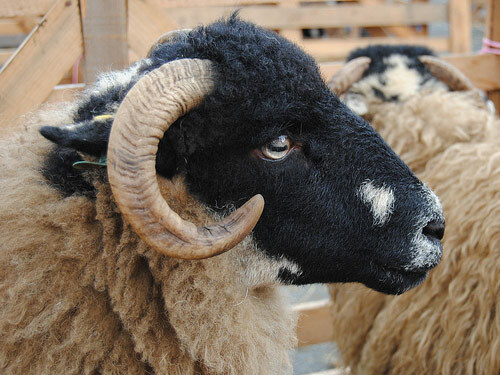 They are produced by crossing a Teeswater ram onto either a Dalesbred or Swaledale ewe, both hardy hill breeds. It is from these parent breeds that the Masham gains its hardiness, longevity, heavy milking qualities, strong mothering instincts and high prolificacy. Masham ewes are medium-sized and hornless. They have a good reputation for the ability to perform well in a wide variety of circumstances. Producing quality lambs is what she is bred for with an added bonus of a long stapled fleece. Average mature adult weighs 75kg.